Every year approximately nine typhoons make landfall in the Philippines. Most residents have become hardened to the raging storms. 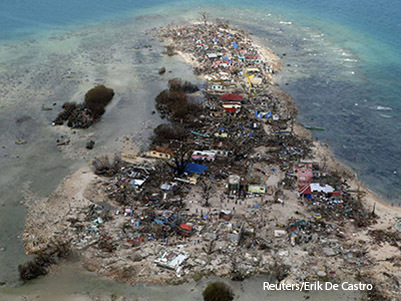 No one was prepared for the fury of Typhoon Haiyan. Rated as a category 5 superstorm, Haiyan swept through the tropical island nation on December 8, 2013, leaving death and ruin in its wake. In any catastrophe like this, the danger does not end with the storm’s passing. 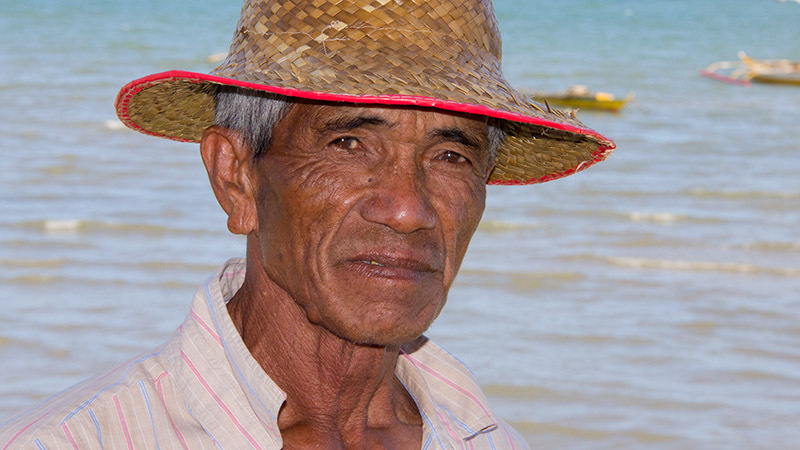 Without immediate assistance, waterborne diseases will quickly turn survivors into fatalities. ADRA was one of the first responders on the ground. Volunteers and staff of the local ADRA office facilitated the distribution of food, water, hygiene supplies and shelter kits to thousands of households. All of this life-saving support was possible in part, by the generous donations of concerned Canadians, giving their gifts through ADRA Canada. However, emergency response is only a part of what ADRA does. We also stay on after the crisis has passed, managing programs in affected areas to help rebuild people’s lives. 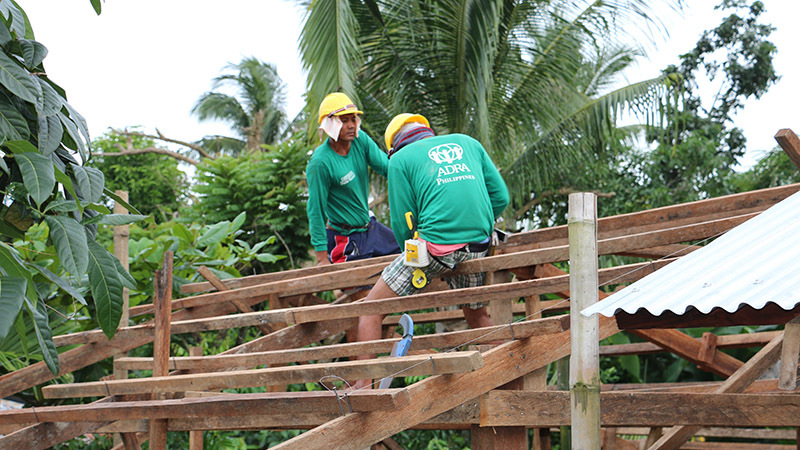 Working especially with the most vulnerable people, such as the elderly, single parents and the disabled, ADRA Canada, in co-operation with ADRA Philippines, is rebuilding homes and helping people re-establish their livelihoods. 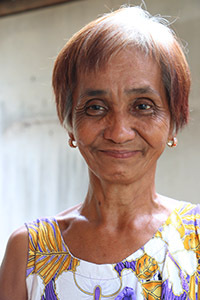 Carmensita Beso is a widow who lives in the small Philippine barangay (village) of Calapawan on Panay island. She moved to Calapawan 18 years ago when she married and since then she has lived in the same spot. 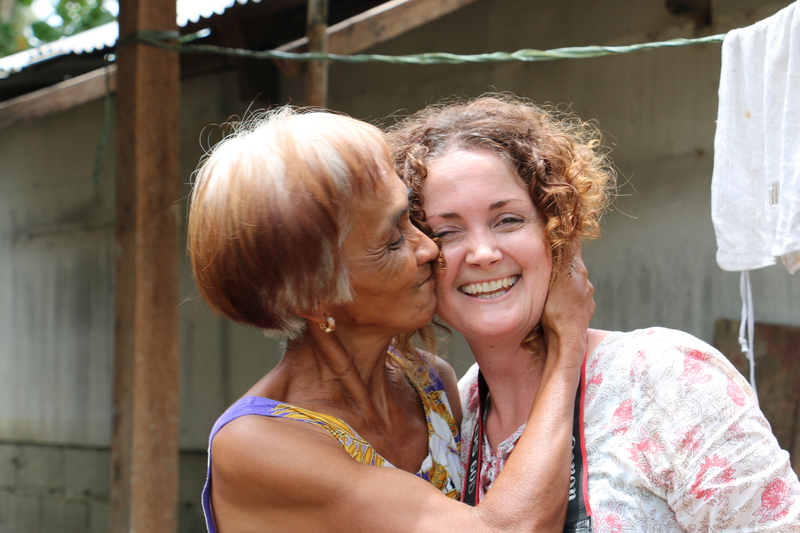 Before Typhoon Haiyan she lived in a small nipa house. 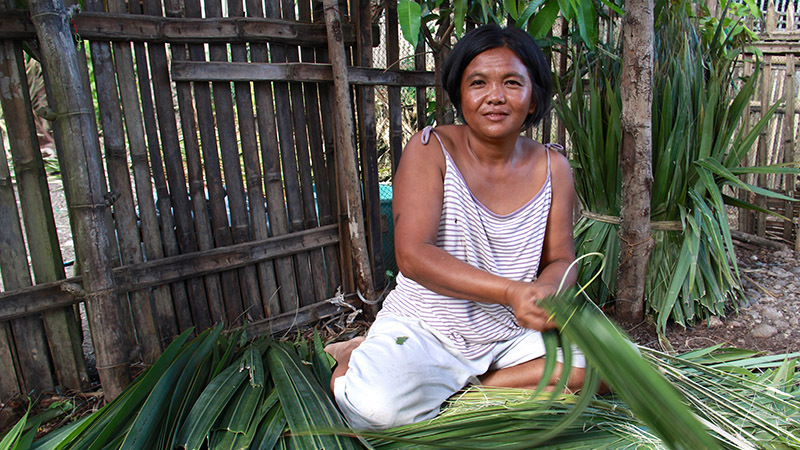 Nipa is a type of palm plant that grows wild in the Philippines. While popular and inexpensive, a nipa house is no match for a typhoon. 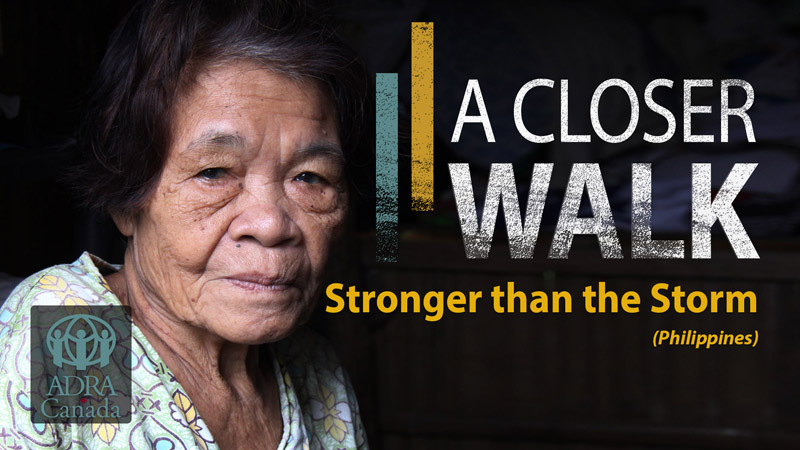 When Typhoon Haiyan struck her village, Carmensita thought it was the end of the world. Her house, along with 80% of the houses in her village were completely destroyed. After staying with relatives for three months, Carmensita returned to see what could be done with her house. She had no money to rebuild. That is when she met workers from ADRA, who had come to help the people of her village. When the ADRA staff saw her living conditions, there was no debate. Carmensita needed a new house and ADRA was going to help her to get it. 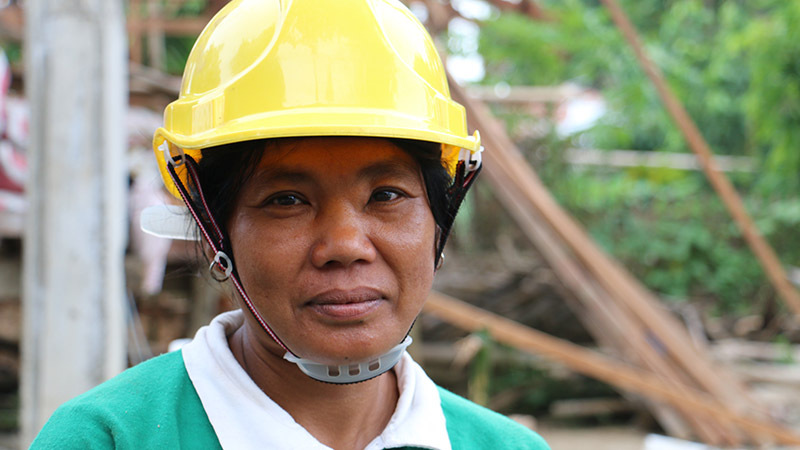 Four months later, her house was one of the first in Calapawan to be completed. It is larger and more durable than her previous house. She feels better and safer. Carmensita is grateful for the generosity of the Canadian people and supporters of ADRA that have helped her build a new home. Every time she sees ADRA staff she is full of joy and smiles. With about 70% of the villagers making a living in the fishing industry, ADRA is also helping people rebuild their boats. With new nets from ADRA, to replace those lost in the storm, fishermen are now able return to their livelihoods, so they can provide for their families. By time this program is over, ADRA Canada will have rebuilt 500 fishing boats and helped over 27,000 people build new homes or repair their existing ones. 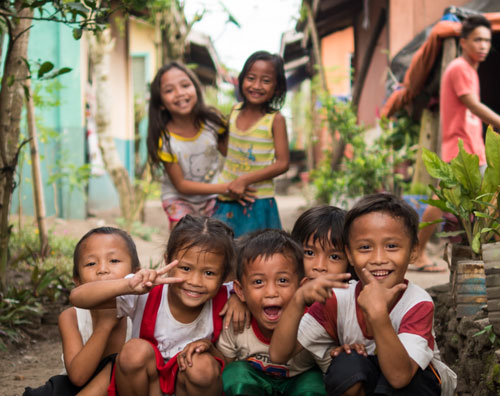 Thanks to your support, the response to Typhoon Haiyan has been a big success!